If you’re thinking the ‘tradition’ wedding style isn’t for you, why not go for something different. The Industrial look is a great blank canvas for couples wanting to use their imagination and put their stamp on their special day. Using features from your venue can be considered a bit raw but they really maximise the cool factor to your wedding. Add in rustic benches, industrial look lighting such as festoons, and simple but elegant greenery to make your venue POP! A unique feel to any wedding. Metallics and geometric shapes –Metallics such as coppers, rose gold, and silver are popping up everywhere this year. 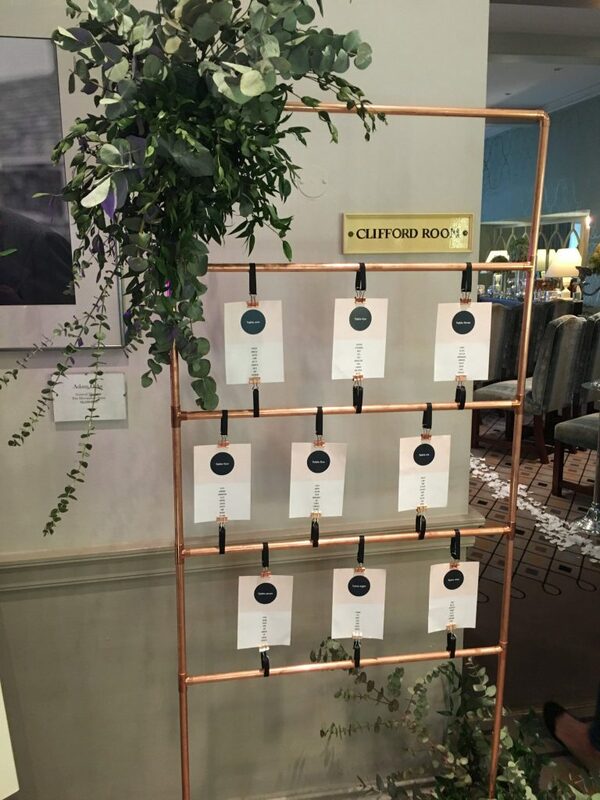 Create a modern feel to your event by adding in some metallics and geometric patterns. 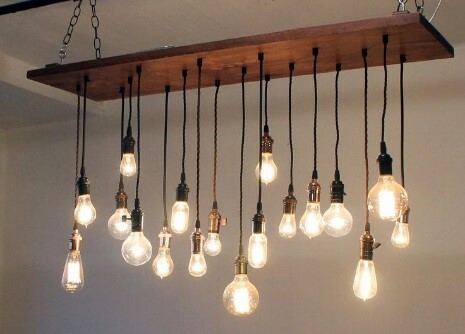 Edison bulbs have such an effective look whether they are hung from walls or beams, or even bunched together. The only problem is, they can be expensive to buy or hire. 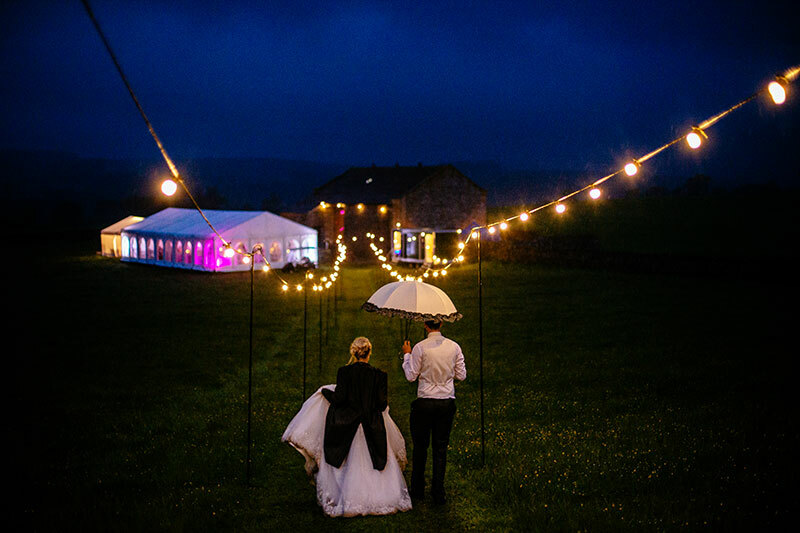 An alternative and cheaper option would be to use festoon lighting, perfect for outdoor and indoor use, in a big event space. Foliage – we’re expecting the trend for foliage to carry on way into 2018. Bouquets and decorations with plenty of beautiful greenery not only give your wedding a natural woodland look, but they’re also a lot easier on the budget. Table Wreaths – a more traditional feel for table decorations, but ever the classic. Make your centre flowers unique to you, with a splash of colour, modern vases or add some candles for a romantic feel! 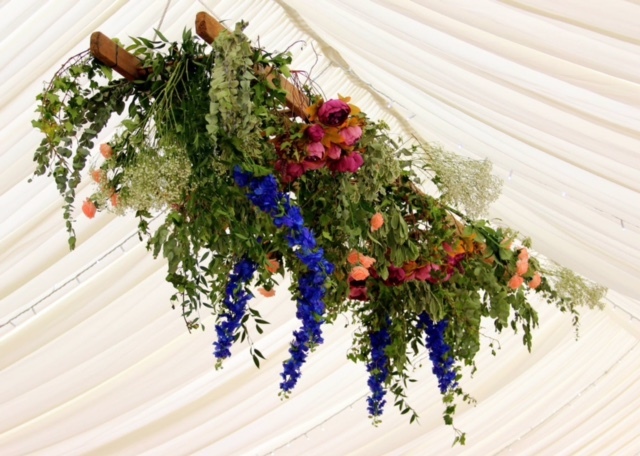 Hanging flowers- We get asked to hang flowers in our marquees all the time, and we can see why! 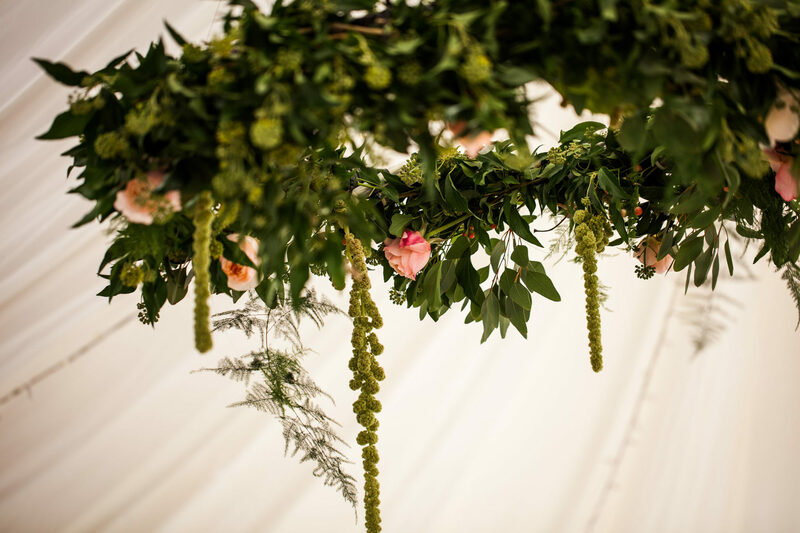 They make such a difference to our marquees with beautiful arrangements cascading down from the ceiling. 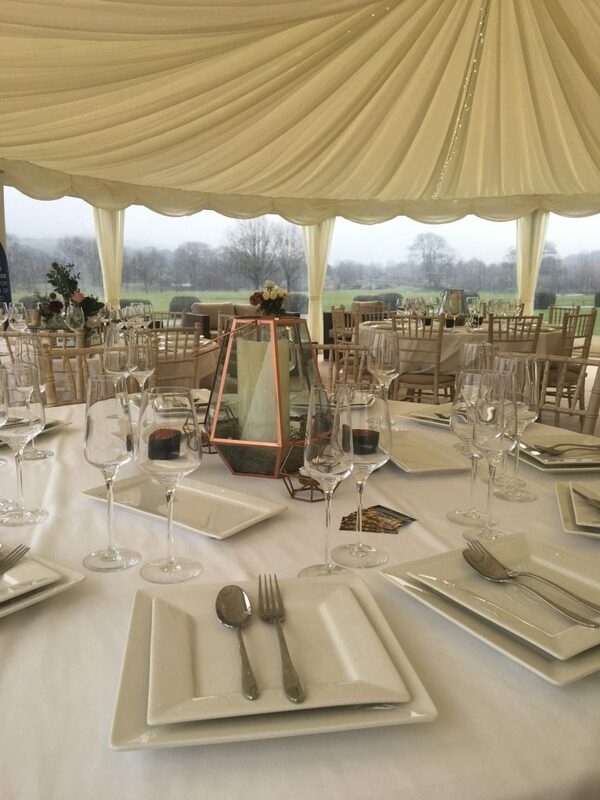 When planning your own, always be sure to know what weight your arrangements will be and how you are planning to fix it to your structure or venue so that everything stays put during your event. Signature cocktails are a great crowd pleaser at any event, we are finding more and more of our customers are looking to have specialist drinks so that there guests enjoy a truly memorable cocktail, tailored to the event. Another popular options is creating drink stations. Perfect for hot weather events, these stations can often be dressed up as DIY with all your favourite tipples lined up for your guests to pour there own. Match these special drinks with special glassware, so your stations feel like a professional set up.